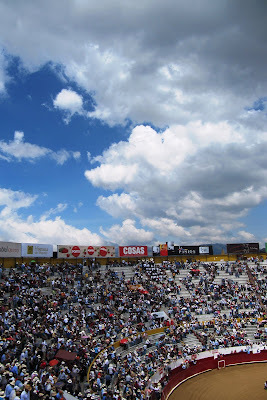 Open Hands and Dirty Feet: Fiestas de Quito! We've come to learn that Ecuadorians like to name big streets after important dates. Since the day we set foot in Quito, much of our public transportation lives have revolved around this big street that runs through the middle of Quito that's called 6 de diciembre. Turns out December 6th is Quito's founding day, and thus, cause for an annual celebration of epic proportion. 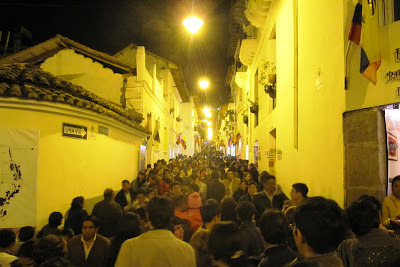 Fiestas de Quito started on November 27th and ran all the way through December 6th. 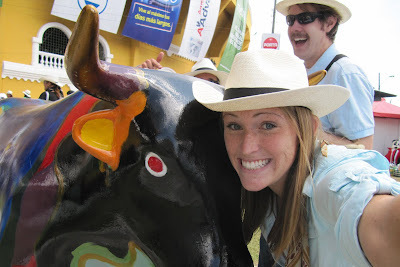 There were parades, concerts... and, of course, the infamous bullfights. 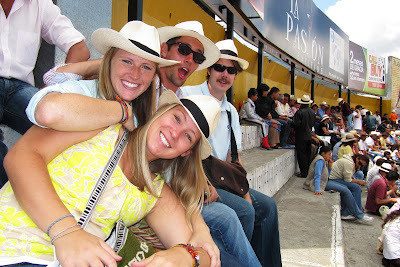 While all of us trekked our way into Quito several times throughout the weekend, only five of us chose to attend the bullfight last Sunday. Besides being one of the most popular Fiestas de Quito events, we decided it was also a significant cultural event... a learning experience, if you will. The five of us made our way into the city on Sunday morning and made it to the Plaza de Torros early enough to eat our fill of delicious empanadas de morocho, dance to the blaring reggaeton music, and take pictures with the colorful bull statues (clearly a must). Once we made our way to our seats (in the nosebleed section... but with a great view! ), we realized we had no idea what to expect. 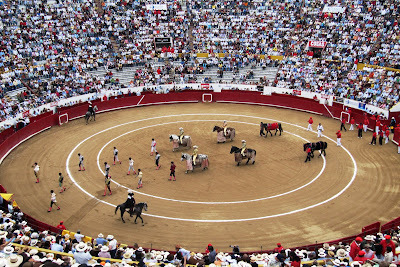 Flash forward to the end of the first round bullfight (who knew there were SIX rounds?!) - there were five gringos with their mouths wide open (and maybe a few girls with some tears in their eyes...) surrounded by cheering Ecuadorians. I guess you could say we caught on pretty quickly. 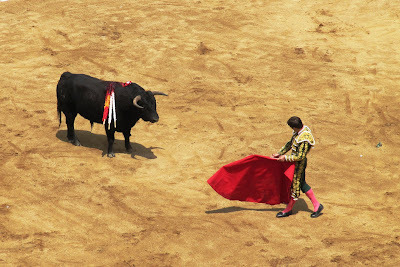 Although a few of us didn't think we'd make it through 5 more rounds, we stuck it out and became intrigued by the tradition and cultural significance behind the bullfight. 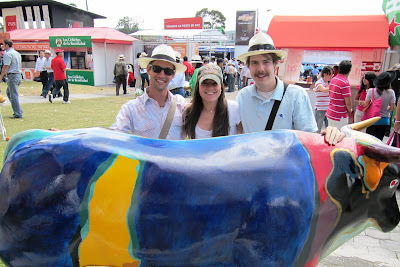 Personally, the jury is still out on how I feel about bullfights, in general. And I'm pretty sure I'll be content to have only gone to one bullfight in my lifetime. But even so, I think it was an enlightening experience, and one that I am glad I got to witness. Nose bleed section! What up!